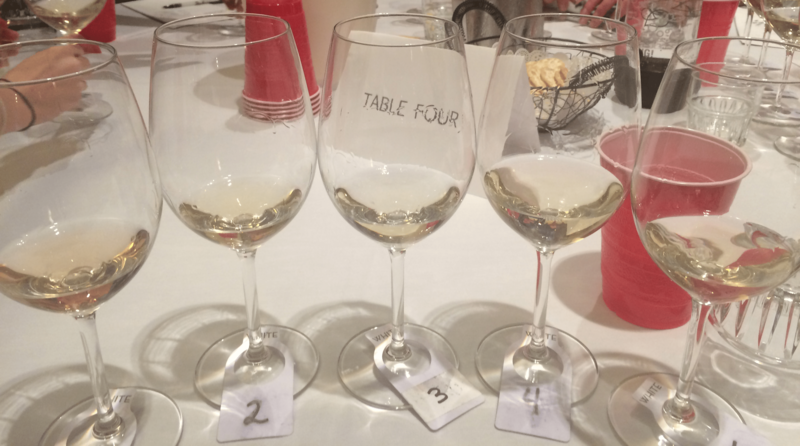 Drink: 2015 Maryland Governor's Cup | CookDrinkFeast! 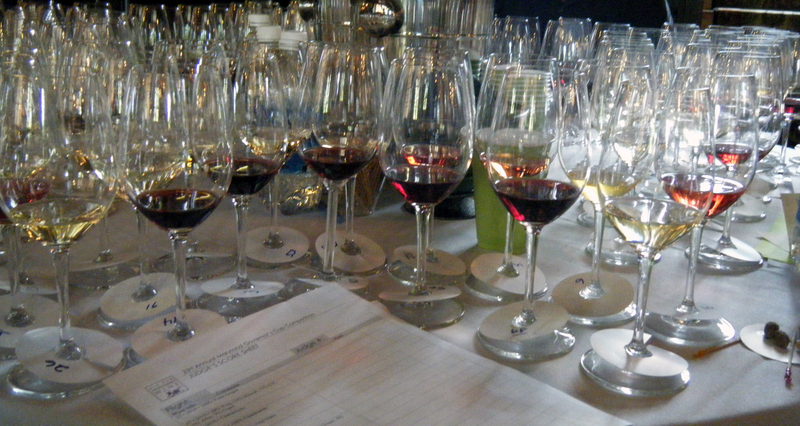 This year’s competition consisted of 157 wines. There were four tables with 5 judges each. Each table judged about 40 wines. The wines came out in flights. 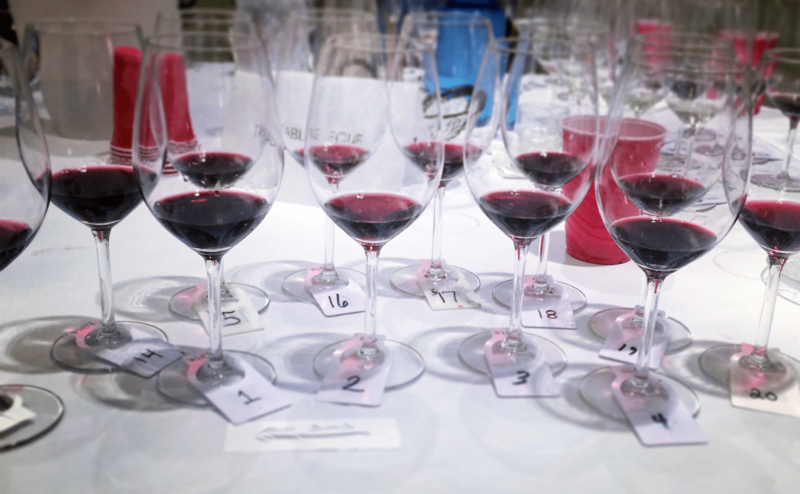 We judged the wines individually on a medal system that ranged from “No Medal—not commercially acceptable” to “Gold Medal.” After we judged a flight individually we would then come to a consensus at the table for each wine. If we could not reach a consensus, we could send the wine to another table for judging. Every wine that was awarded a gold medal by the individual tables went on to the Governor’s Round. This year we had 44 wines go to the Governor’s Round. 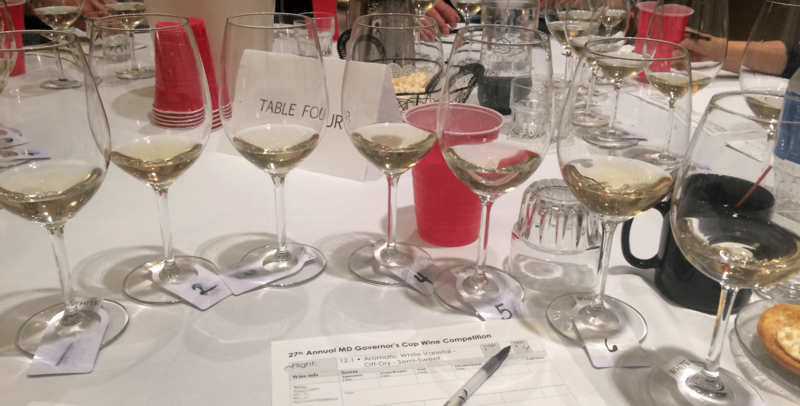 Each judge tasted all 44 wines and picked out their top 5. The top 5 must be ranked in order. This year, the Governor’s Round came out in several fights. We held aside glasses from each flight that we thought would make it to the top five. We would narrow down from there. This is the last flight from the Governor’s Round. As always, it was a rewarding day and I learned a lot. And I’ll be staying away from wines for a few days while my tongue recovers.